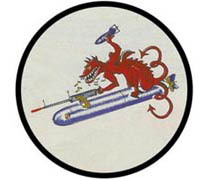 The officers and men of Marine Bombing Squadron Four Thirty-Three welcome you to our website! We are very pleased to have you visit with us and hope that you enjoy the information about our squadron. Within the pages of this website, you will find the story of our squadron and our service during the Second World War. This information is supplemented with many photographs and other interesting items regarding our story. You will also find information concerning our past and upcoming reunions. Enjoy your visit and please feel free to leave your thoughts and comments in our Squadron Log Book, or contact us should you have any questions. Copyright © 2005-2008 Marine Bombing Squadron Four Thirty-Three Association. All Rights Reserved.